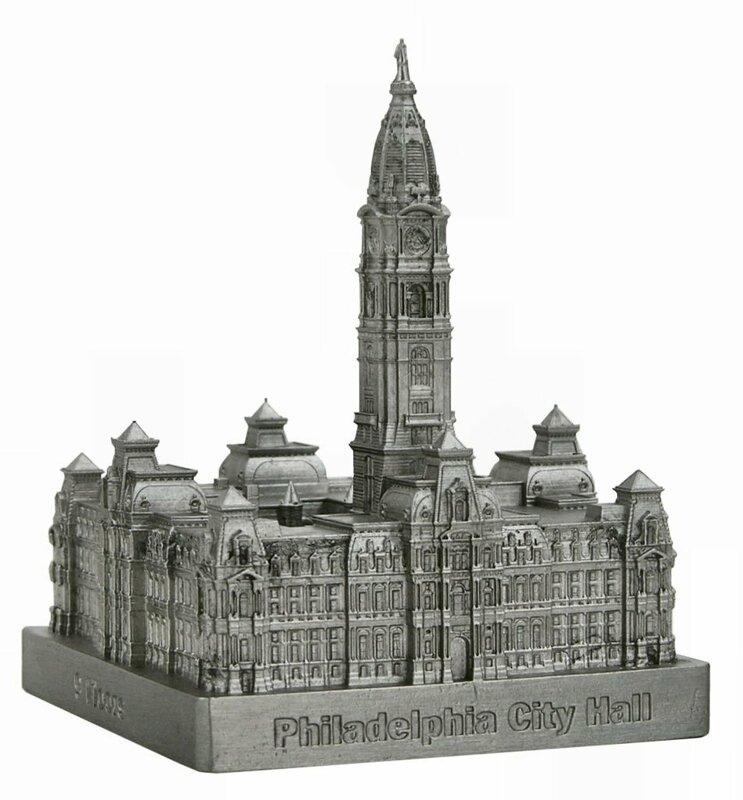 is located at Broad and Market Streets in Philadelphia, PA and was completed in 1901. This building was designed by John J. McArthur, Jr. and stands 548 feet tall with 9 floors. City Hall was designed to be the tallest structure on earth but due to the fact that it took 30 years to build, the Eiffel Tower and the Washington Monument eclipsed it. The statue of William Penn stands 37 feet high. This pewter replica stands 4 inches tall and is finished in new pewter. This model’s scale is 1 inch = 150 feet.